As you Pursue Your Uniqueness, celebrating who God created you to be and His continued shaping of your life as His pearl, you will have your heart renewed for your journey of living a life of significance. As they go through this session and subsequent sessions, your group will gradually complete “Your Uniqueness Summary.” We recommend you and your group place a small Post-It™ note or gold paperclip on this page for easy reference throughout the course. Allow time for either the Peer Coaches or the whole group to discuss the skills and abilities they have discovered. For this particular discovery that may become very personal, it is best to have the Peer Coaches talk together afterward. Scripture passages and helpful questions are included in this tool. 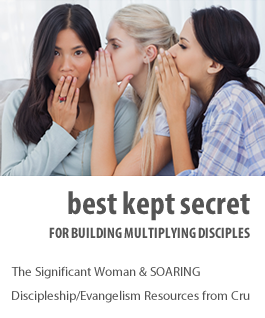 However, there are many excellent tests available for women who don’t yet know their spiritual gifts. You may want to suggest any tests with which you are familiar. As explained in your notes, it is best for the women to write a note of affirmation for everyone in the group at the beginning of this activity. Suggest that they add their name and the date on each note for a longer-lasting remembrance.